Rapper Yung6ix from Warri State will be joining Davido to perform live this Sunday during the Big Brother Naija 2017 Live Eviction Show. 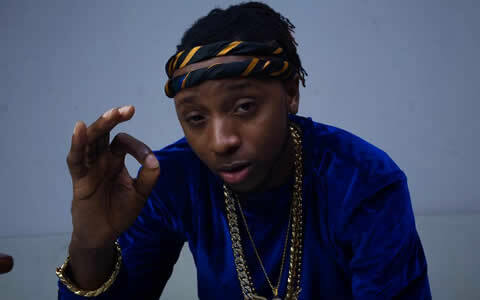 Yung6ix kicked off young in the music game, having involved himself in rap battles and he was part of a hip hop group called G-Squad. On the strength of his track, "I'm an African" he was signed to the 411 Entertainment Company in 2009. He has been up for a few awards but has only, thus far, won the one award when he scooped the National Act of the Year in the Abuja Music and Meritorious Award. MI called him "the King of the South" after he appeared on MI's album "Illegal Music 2." In 2013 he’s signed a multi-million Naira musical recording, and management deal with Trick Billionaire Musiq. The deal consolidate Kash Kamp, Yung6ix’s imprint, which he established with Percy as well as talented producer Otee Beatz. Kash Kamp has agreed to a lucrative partnership deal with Trick Billionaire Musiq, with the aim at increasing Yung6ix's reach to the shores of wider Africa and the rest of the world. His debut album was released in February 2014 and it features special guest appearances from Phyno, Yemi Alade and Wizkid. Get ready for an explosive penultimate Live Eviction Show where any one of TBoss, Debie-Rise, Marvis and Bally being Evicted. Yung6ix is sure to entertain you with brilliance.